A fine example of a two bedroom VICTORIAN TERRACED HOUSE located in FENNY STRATFORD. All the local amenities are close by, including transport links for bus and trains. The property comprises of a lounge, dining room, kitchen and a FIRST FLOOR BATHROOM. To the rear is a rear garden. Please call to arrange a viewing. Double glazed window to front aspect, double glazed door to rear aspect, radiator, feature fireplace, telephone and television points. Double glazed window to rear aspect, radiator, built in storage, door to kitchen, through to lounge. Double glazed window to rear aspect, double glazed door to garden, a range of storage cupboards at base and eye level, rolled edge work surface areas, single drainer sink unit, splash back tiling, spaces for a washing machine and dishwasher, integrated gas hob, double oven, tiled flooring. 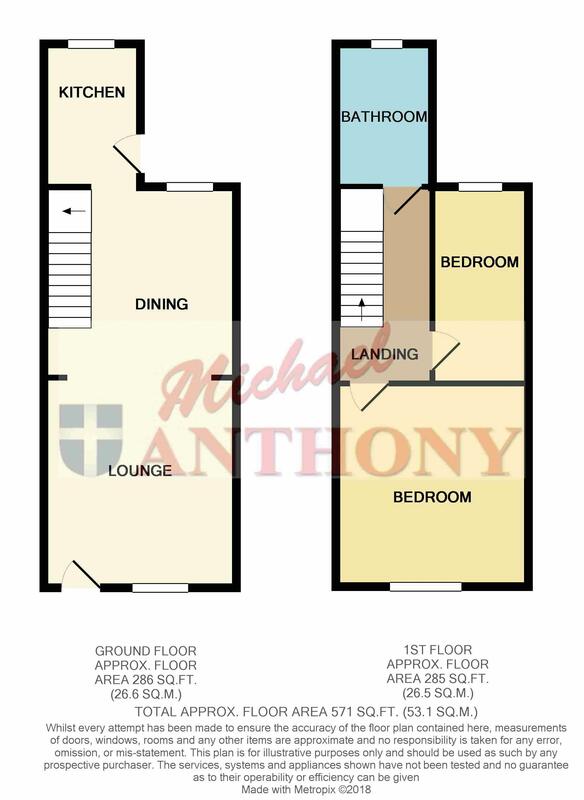 Access to loft void, radiator, storage cupboard, doors to bedrooms and bathroom. Obscure double glazed window to rear aspect, a three piece suite comprising a roll top bath with shower attachment over, low level w.c., wash hand basin set in vanity unit, part tiled walls, radiator. Enclosed by brick wall, slate area. Patio and gravelled areas, mainly laid to lawn.